Joanne Foote, a 30-year activist from CUPE 6095 (Hospital Employees’ Union, B.C. ), is the winner of this year’s Grace Hartman Award. 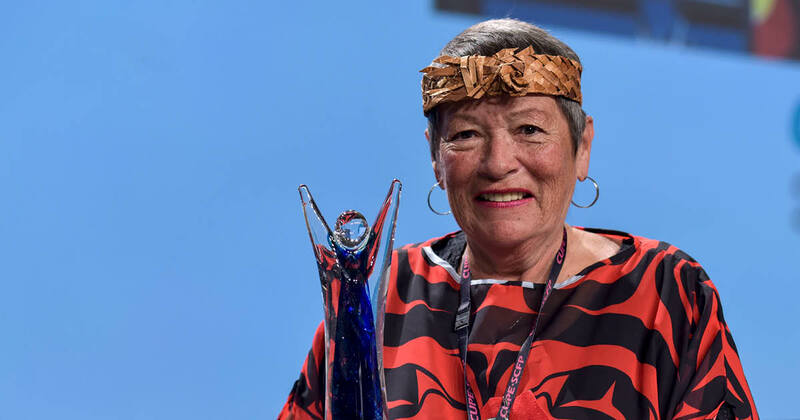 The award is presented to a CUPE activist who embodies the qualities and legacy of CUPE’s first woman president. Sister Foote, an Ojibwe Elder from the Rama reserve in Ontario, recently retired from her job as a recreation aide in Maple Ridge, B.C.